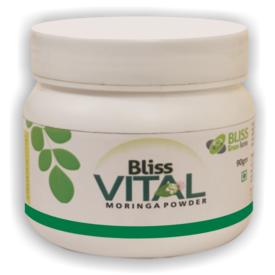 Bliss Vital Moringa powder contains unique constituents that include 92 nutrients essential for body health. Its leaves have been used in cooking during ancient times itself. Various parts this tree have been used for medicinal purposes in alternative medicinal systems. Bliss Green Farms follows strict quality control in production of leaf powder and ensures that your order is processed with minimum time. our product meets industry standards due to strict quality control measures.